Due to the overwhelming success of 2014 and 2015, the eclectic posse of Newtown’s hospitality elite, Newtown Locals are returning to the 38th Annual Newtown Festival. Newtown Festival Director Gill Minervini says, “As the new Festival Director I’m really excited about the unique experience the Newtown Locals bring to Newtown Festival. I'm humbled by their generosity in donating time, money and produce to help homelessness in the inner west. The Locals will have a bigger and better area at the festival this year which will be a great place to sample food and drinks from Newtown’s best restaurants and cafes.” In keeping with the spirit of community, amenities will be communal and punters will be encouraged to pull up a milk crate and make friends amongst the trees in Camperdown Park this November. 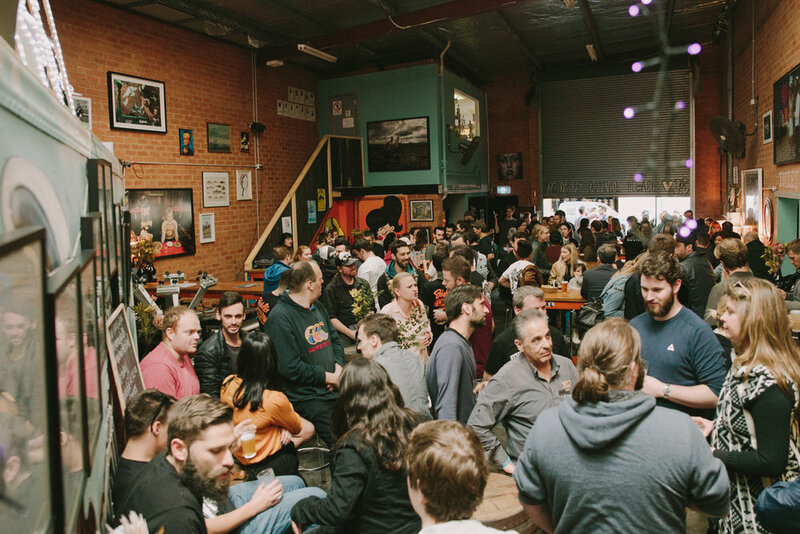 Newtown Locals was founded in 2014 by a group of chefs and restaurateurs, brewers and misfits who share a love and passion for their neighbourhood. Every year, new businesses set up shop in the side streets and back alleys of Newtown, all with the shared goal of enriching the place they call home, and spreading good vibes to both locals and visitors alike. This collective of local businesses brings outstanding talent together in one place, at one time, offering unique and affordable dishes and drinks for all to enjoy, for a fantastic cause. The Newtown Locals will work in groups to create five dishes, all available at the reasonable price of $10. Punters will have no shortage of beverage options with wine from For the Dandy in the Clos and Sparrow and Vine, Young Henrys gin and house-made Fleetwood Macchiato sodas, as well as coffee from 2042’s finest caffeine slingers. All profits will be donated directly to FIRST RESPONSE – Newtown Neighbourhood Centre, a frontline emergency response service, dealing with drug and alcohol abuse, mental illness and homelessness within the Inner West area. This year’s Newtown Locals t-shirt competition will see artists create designs within the theme of ‘Marriage Equality’, with the winner’s design worn on the backs of the Newtown Locals, as well as being available for purchase on the day of the festival at the merchandise tent. For the first time, the Newtown Locals t-shirt competition will be inserted into the senior curriculum at Enmore Design School, providing local art students a fantastic opportunity to participate in a community event. The winning t-shirt design will be announced at Young Henry’s on Thursday 13th October. Young Henry's hosted the Locals where the new festival organisers were introduced and t-shirt competition winner announced. Click here to see more from the launch party and photos.